Did you get a chance to enter our Easy Lunchboxes GIVEAWAY?! Be sure to head over and enter ~ I love these lunch boxes!! 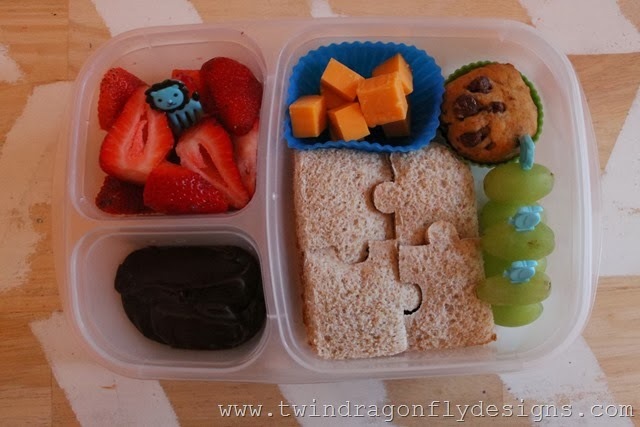 I picked up a few more accessories from Bento USA ~ this puzzle sandwich cutter is awwwwesome! And some new little forks and skewers ~ so fun! 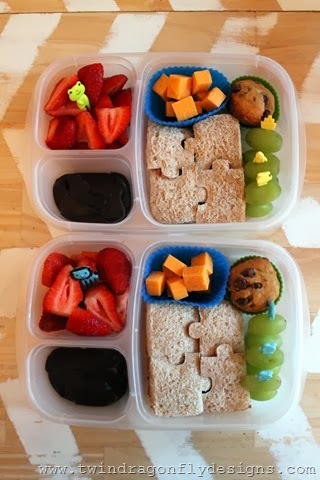 Today we have chocolate pudding, strawberries, a peanut butter and jam sandwich, cubed cheese, skewered grapes and a homemade banana chocolate chip muffin.